Many people assume a two step process: (1) learn the language through intensive study; then (2) apply what you've learnt with people. However, you won't get far with Bininj Kunwok this way. You need to cast yourself out there, even if it means adopting a different and more outgoing personality. Try things, make mistakes, have a laugh... if you're not making mistakes and embarrassing yourself regularly, you're not learning. The language exists for communication and relationships, so make communication and relationships the priority from the very beginning. Learning vocabulary out of context is virtually useless, because you don't get clues to the range of meanings of a word. Memorise phrases, and generalise them by substituting words. Just because someone speaks Kunwok doesn't make them a good teacher. Some people might overwhelm you with information in their enthusiasm to teach you. Start making friends, and see who you can easily relax with over a cup of tea. 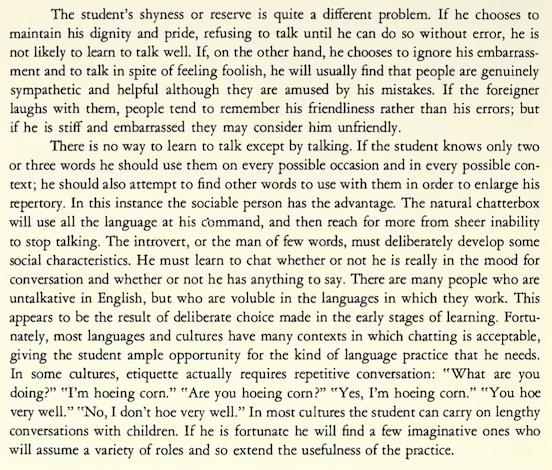 Remember that language learning is tiring for everyone, so monitor people's level of interest. Sometimes it's easier to focus on learning cultural things, and picking up language alongside that.